This update will bring Field Bosses and a chance to grab high-end gear for your characters! 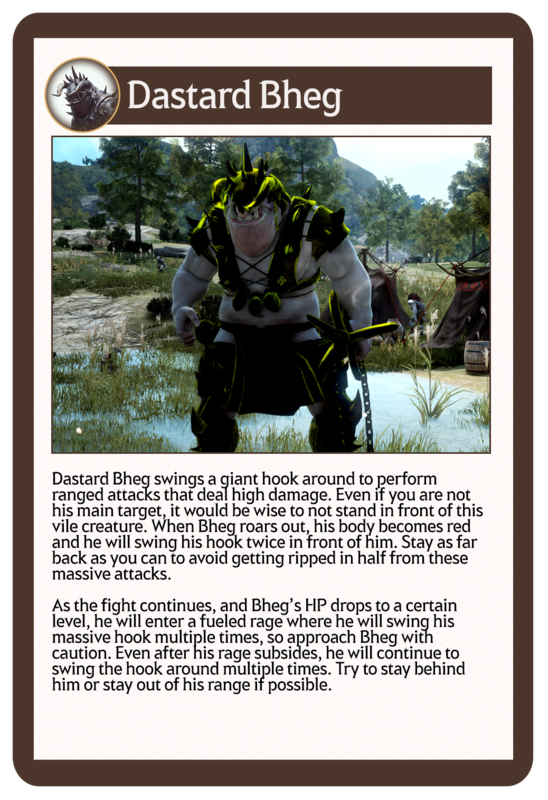 Get ready to face some of the most challenging bosses added to Black Desert yet! 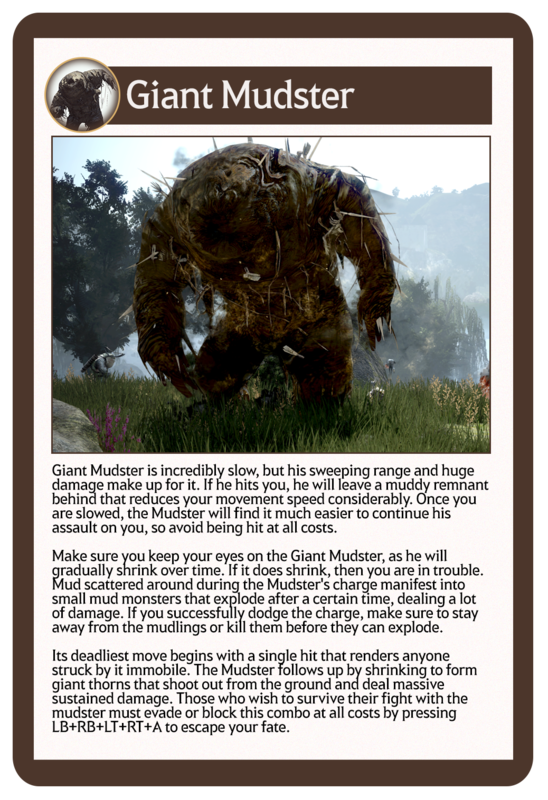 Four new threats to the Black Desert world have been discovered. These four powerful beings may look like enemies you have faced before, but don’t be fooled, their power is far stronger than anything you have faced thus far. Their AP and HP are significantly higher than regular monsters, so proceed with caution. They do drop some incredibly lucrative items, so it is always worth giving them a try. 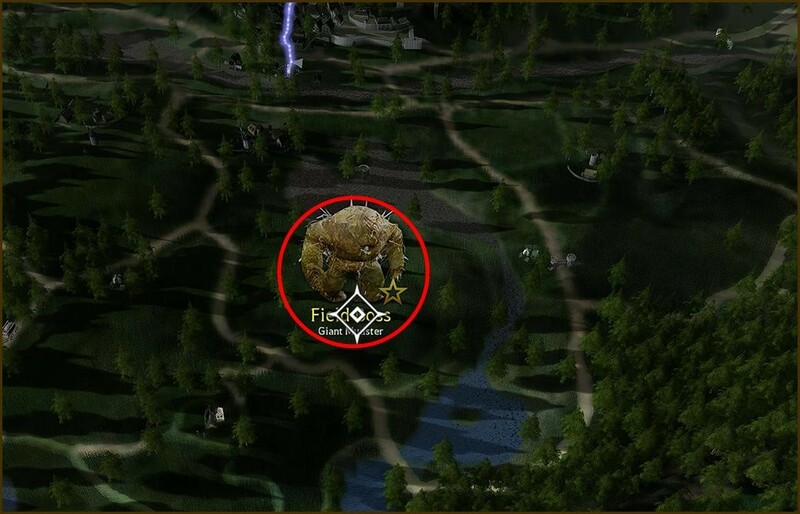 Field bosses will spawn on four random servers at random times. Make sure to keep an eye out on notifications that pop up letting you know when they have spawned! 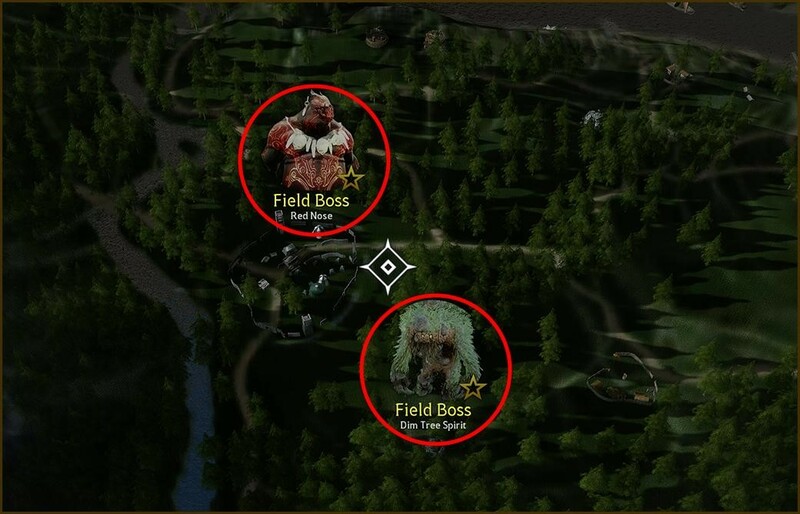 Field bosses appear roughly once a day, and appear on four random servers. The system messages will only appear on the server the boss spawns on, so if you see if, move to the location and battle these ferocious monsters. Boss Armor is the highest tier of armor available. 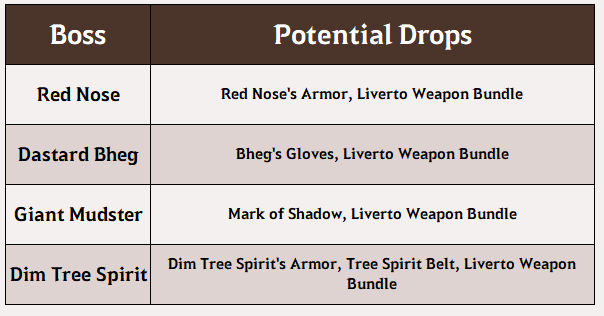 You can get these items by killing bosses with the Daily/Weekly boss summoning scrolls available as drops or from the Black Spirit quests. Each piece of boss gear is effective on its own, but the more pieces you have, the better bonuses you will get. When you have three parts Boss Armor equipped, you will get +200 Stamina. If you equip four parts, you will get +1 to your attack and casting speed. Defeat all the bosses below and collect all Boss Armor parts to become incredibly strong. 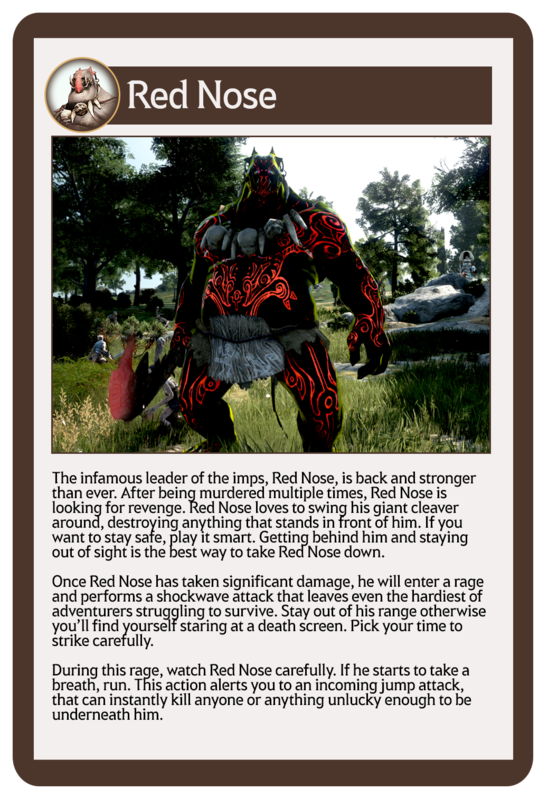 Red Nose, a monster full of hate and rage drops a powerful defensive armor. 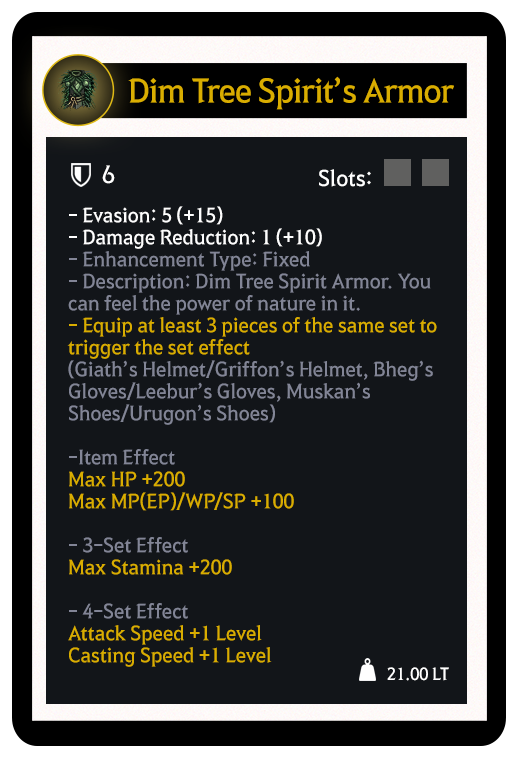 This armor has high HP recovery, Max MP/WP/SP +100 and huge defensive stats. 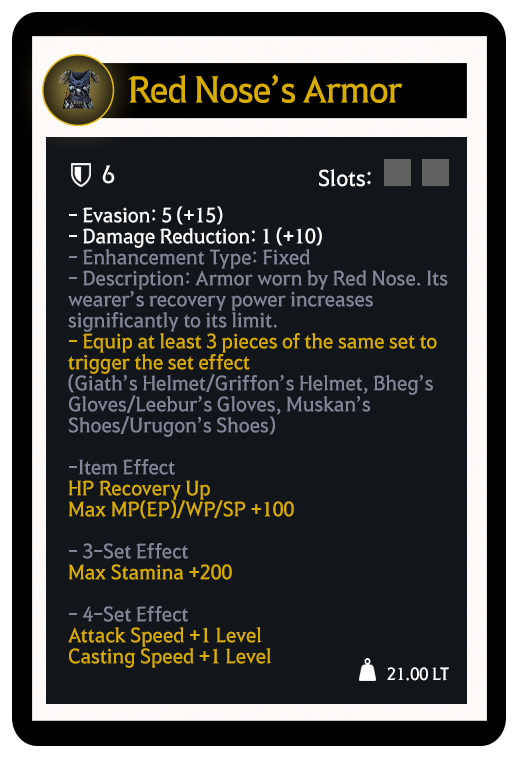 Successfully enhancing Red Nose armor to TRI will grant you 79 DP (36 Evasion + 43 Damage Reduction). 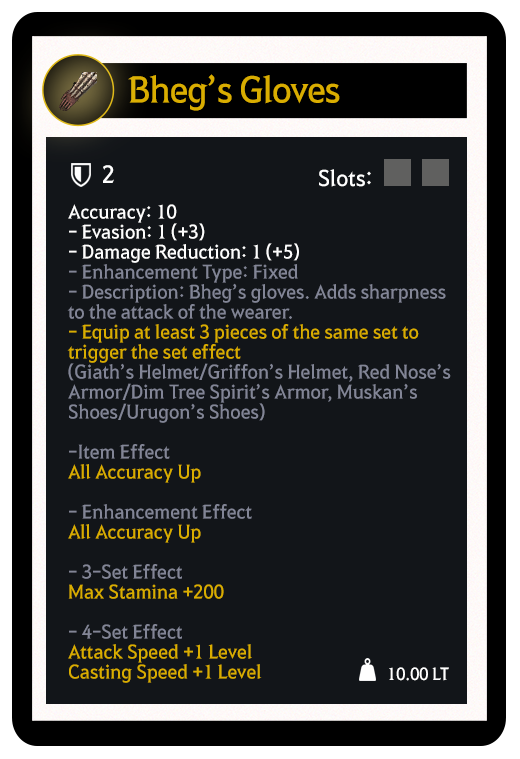 With Bheg’s ranged hook and pinpoint accuracy, it’s no surprise that Bheg’s Gloves grants bonus accuracy. 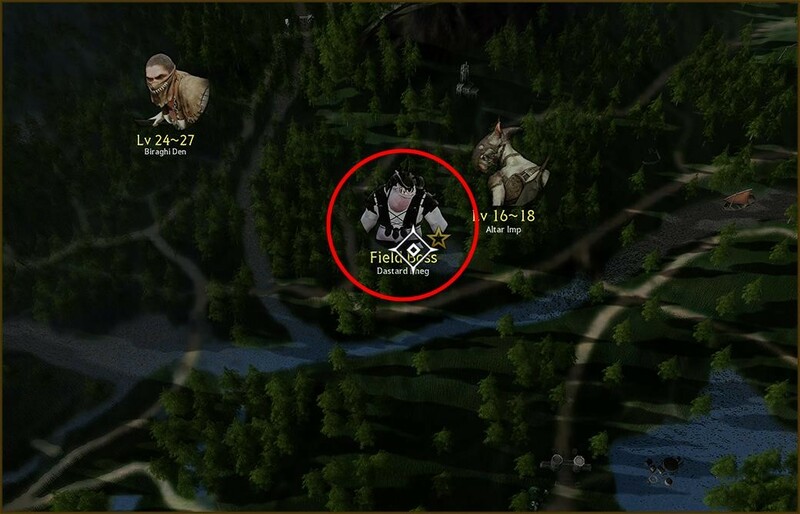 If you enhance them to TRI, you will get 46 Accuracy, All Accuracy Up, and 50 DP (22 Evasion + 28 Damage Reduction). The enraged Goblin Chief Giath’s helmet is designed to provide its bearer with improved accuracy and a near sixth sense, allowing them to dodge attacks. If this helmet is enhanced to TRI, you will get an All Evasion up effect and 70 DP (24 Evasion + 46 Damage Reduction). The cold-blooded murderer Muskan wears shoes designed to easily dodge incoming attacks. 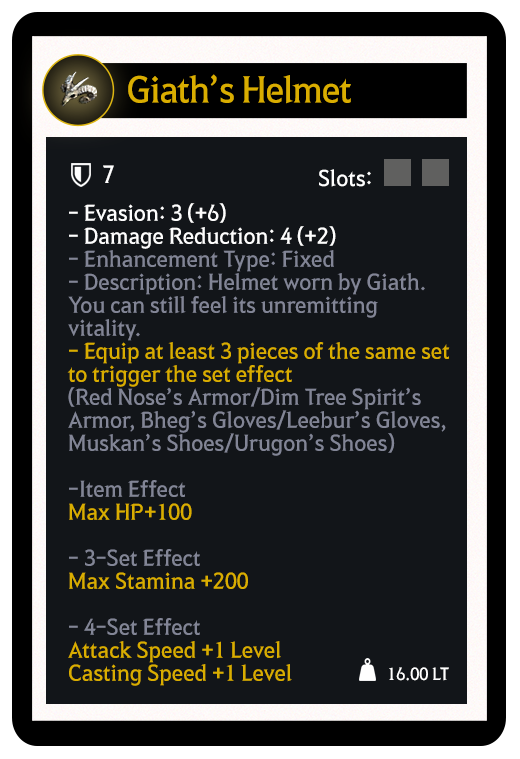 These shoes offer high Evasion rates, and if enhanced to TRI, will give 67 DP (39 Evasion + 28 Damage Reduction). Muskan’s Shoes are more difficult to obtain because you can only try for them once a week. 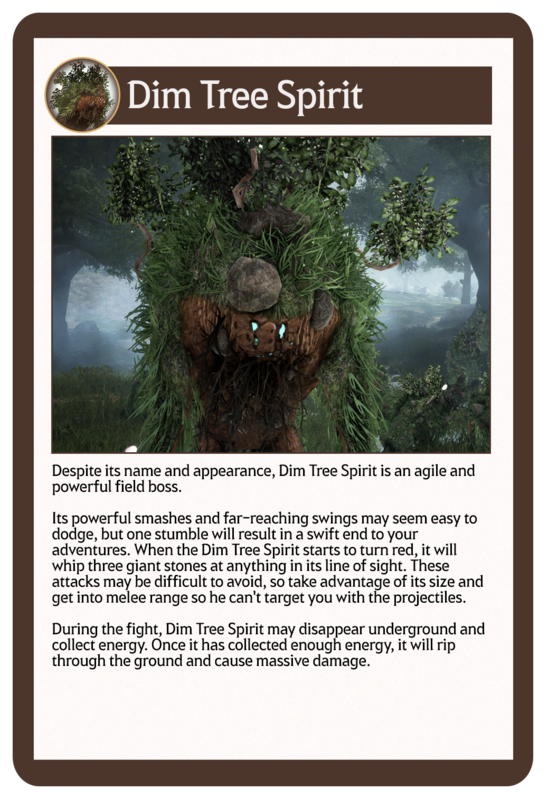 Armor of the Dim Tree Spirit is infused with nature's energy. This grants the wearer high defense and a boost to their HP. If it is enhanced to TRI, it will give +200 HP and 79 DP (36 Evasion + 43 Damage Reduction).